When Lilian Jackman was 22 she worked in the gardens of three elderly Vermont women. They each had their own way of gardening in their old age. One woman was very angry because she wanted the garden to stay exactly the same – and of course she was not successful. Gardens never stay the same. This made her critical, and unhappy. The garden was no longer a source of joy. The second woman had run a nursery and landscaping business. She knew a lot about plants, but she hired casual workers to help in the garden. No one of them knew very much and the garden went gracefully to seed. The third woman was Japanese. “She was incredibly precise and cared nothing for my advice or opinions,” Jackman said. She grew flowers and vegetables. As her energies diminished she let her perennials do as they would, but kept the edges neat. She bartered for some help with those plantings. Then she herself concentrated on growing the Asian vegetables and herbs she loved, in a smaller patch and was happy. “Those three women taught me a lot. I was an apprentice and they were my mentors.” Now 57 she said even at that young age, she suddenly realized that one day she would not be able to care for and maintain a garden she created in her youth. Jackman can now mentor those of us who are coming to that time in our gardening careers when we realize that we cannot go on as we were. 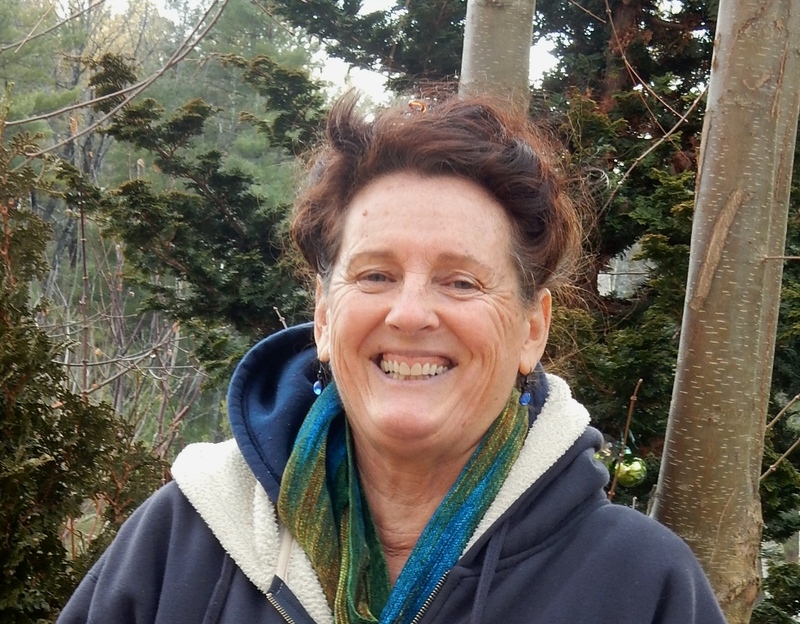 She will give a presentation, Gardening Well Into Your Future at the Western Massachussets Master Gardeners Spring Symposium on Saturday, March 19 at Frontier Regional High School in South Deerfield. One of the reasons for our move to a house on a small urban lot in Greenfield is because my Heath gardens were no longer fun. Caring for the garden was becoming a chore so I was eager to meet and talk to Jackman about her presentation. She studied horticulture at the University of Connecticut, but has many strings to her bow, nursing, writing, lecturing, and making art. At the same time she has built a successful business, Wilder Hill Gardens (www.wilderhillgardens.com) in Conway. The business includes growing trees, shrubs, perennials and annuals for sale on the weekends, and landscaping at different levels from a single consultation to full design and installation as well as on-going maintenance. She can also be called for pruning services, and will teach the client at the same time. That is a service she offers that I will take advantage of. I am not a good pruner. Her annual Mother’s Day weekend sale celebrates the beginning of the growing season, and an opportunity for us to see the gardens and the way she uses hardscaping. You will also see the two new stupas which will be dedicated on Labor Day. When I visited Jackman I enjoyed a tour of the gardens and saw the changes since I last visited to buy plants a couple of years ago. The 100 bush pick-your-own blueberries stand looks neat and fruitful. That blueberry field is what she calls her pension plan, and she has added currants, gooseberries and Asian pears. She said that this fruit acre fulfills the permaculture principle that any planting should provide at least three benefits. In this instance she has food for herself, beauty, and a harvest for sale. The riotous zinnia bed that I have admired in the past in now sandwiched between two new wide shrub borders. She commented that the different beds are beautiful, but they also hold the nursery stock that she can sell. What has always impressed me about Jackman’s gardens is how beautiful they all are even though they function to provide stock for sales or to harvest for wedding bouquets. Her talk will include the need for sustainability, for the gardener as well as the design. 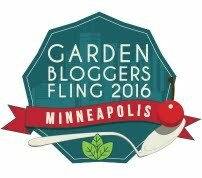 Jackman will show how to think like a landscape designer, addressing obstacles, tools, hardscaping and other aspects of gardening. 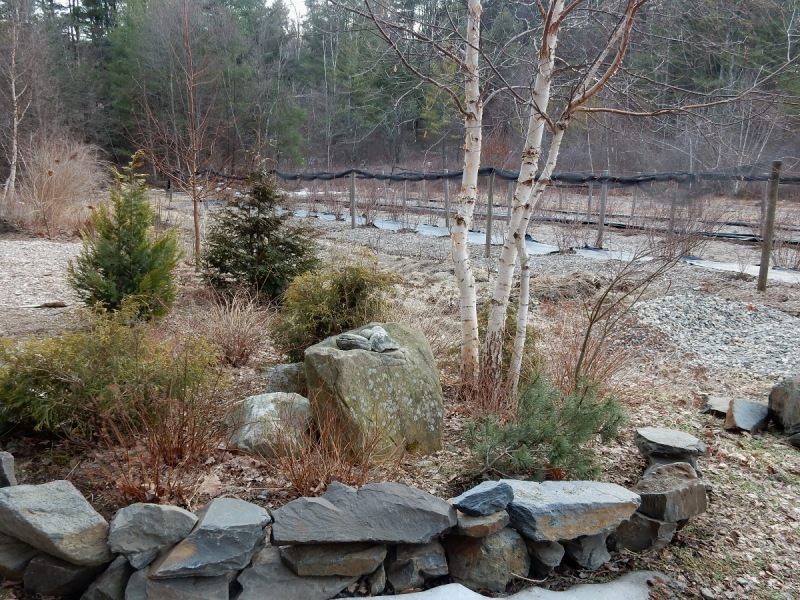 I was interested to see a proposal for using 30 to 50 percent woody plants, trees and shrubs. That is the direction I am heading in for our new Greenfield garden. Karen Bussoloni, gardener, lecturer and photographer will give the keynote talk, Survival in the Darwinian Garden – Planting the Fittest, a look at how plants arrange themselves in nature and how we can use our knowledge of those arrangements to choose plants that will thrive in our own gardens. Other talks and workshops include caring for hydrangeas, and grapes, as well as vertical gardening, seed saving, creating a healing garden, planting raised beds and containers, composting, and dealing with pests. For an extra fee you can even make a tabletop water garden or a log inoculated with mushroom spores to take home. Vendors will also be on site selling local products. Books published by Timber Press and Storey Publishing will be on sale. Preregistration is advised. This is a very popular event. Full information including a printable registration form is online at www.wmmga.com . Cost is $35 plus $8 for lunch. A final note. Beginning April 15 through May 30 Jackman will have a selection of her lino-cut prints titled Los Trabajadoros de Grenada (Workers of Grenada) on display at McCuskers Market in ShelburneFalls. I wish there was someone like Lilian Jackman to speak here in Texas. She sounds awesome. I, too, need tips for the aging gardener. I also recently down-sized because as much as I loved my 2/3rds acre garden, maintaining it alone and doing it right became harder every year. I’m not looking for an almost no-maintenance garden with cactus, agaves, and yuccas which is the current trend in these parts, but a sensible garden with a mix of long-term plants that provide joy to me and wildlife. Rose – I also am a timid pruner. Sometimes so timid I don’t prune at all. Lilian is an amazing gardener, and an amazing and kind woman in every sphere. Laura – that’s the trick, isn’t it – getting the low maintenance garden that we can still love and enjoy! I hope that is what I am creating at our new house, but Lilian is going to come over for a consult and help me see if I am on the right track. I am looking to shrubs to save me. Is there a printable version for us folks here in Michigan to read?